Erard, Paris, 1836. 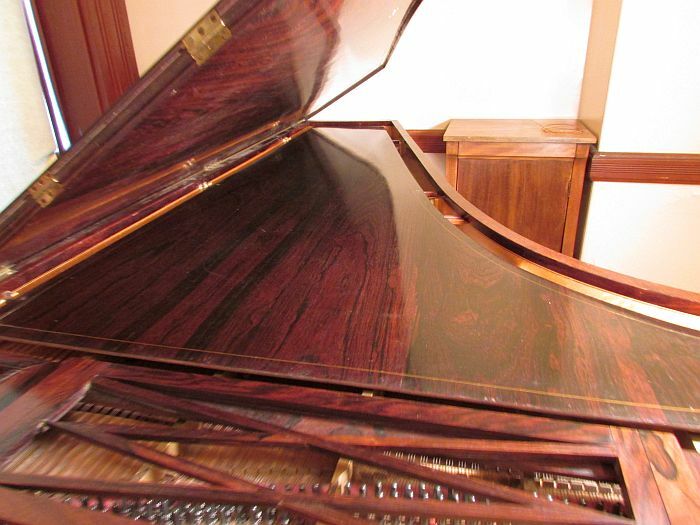 Six octaves and a fourth, CC – f4. 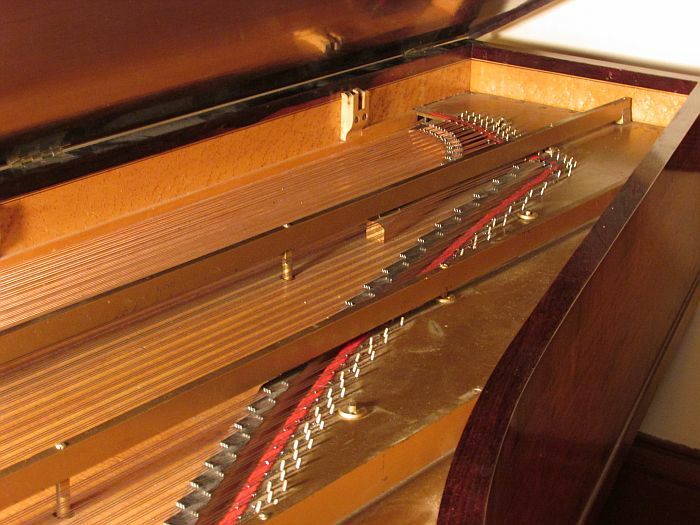 Inventor of the double-escapement repetition action, Erard was the direct competitor of Pleyel. 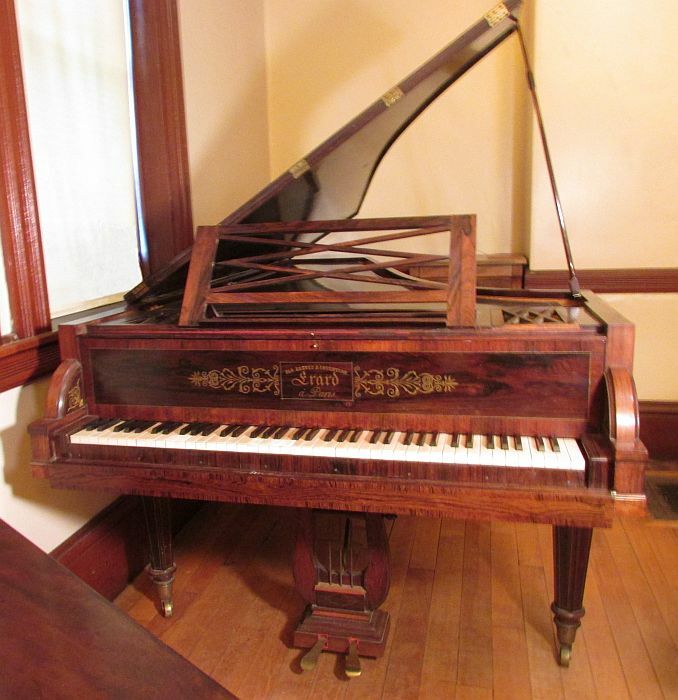 Liszt preferred Erard's more dramatic range of tone colors, while Chopin played both makes, preferring the more intimate sound of the Pleyel except when he was feeling ill and wanted a piano that would produce more effects with less effort. 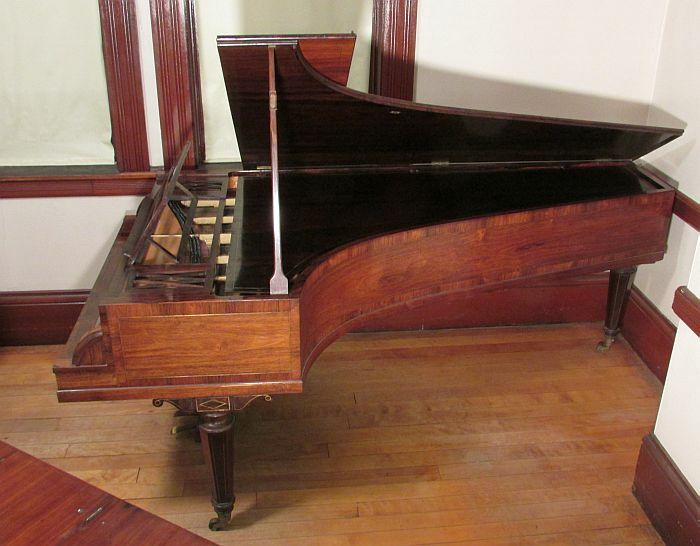 This piano works well for both Liszt’s and Chopin’s music, as well as for works by Mendelssohn, who owned and was pleased with Erard pianos.